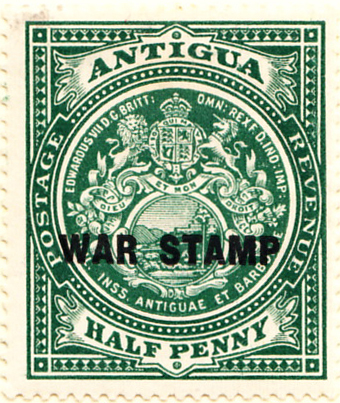 Another West Indian colony in the Leeward Islands group. 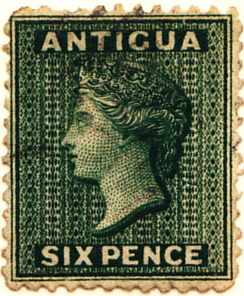 On grounds of cost, the 1863 6d green is shown rather than the 1st August 1862 blue-green. 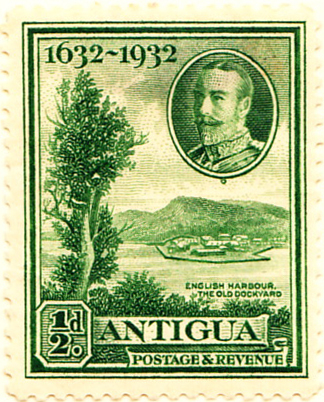 Antigua used Leeward Island stamps from 1890 until 1903 and then a mixture of both until 1956. 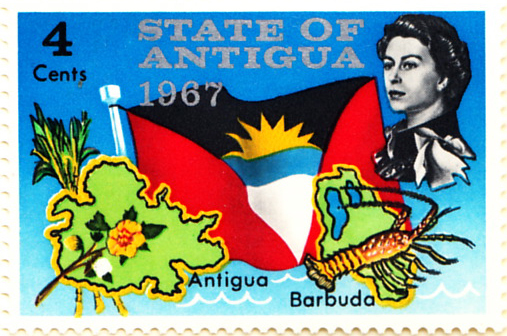 Antigua became independent in 1967. 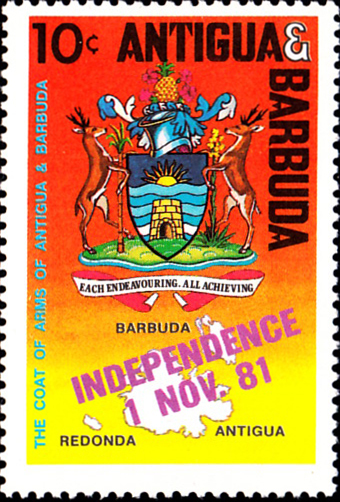 Barbuda (first issue 1922) is a dependency of Antigua and both joint and individual stamps have been issued since 1981. 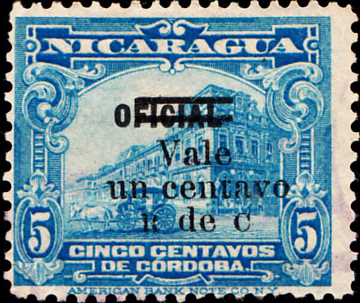 Nicaragua’s first issues are remarkably inexpensive, but nevertheless elusive: when writing this page in July 2013, I only have the first issue and the first post due. 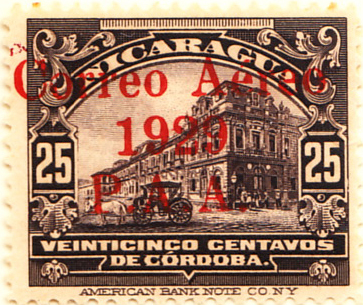 The charity issue (postal tax in Scott) is a surcharge on an official overprint and was to fund the rebuilding of the General Post Office, which burned down in 1921. 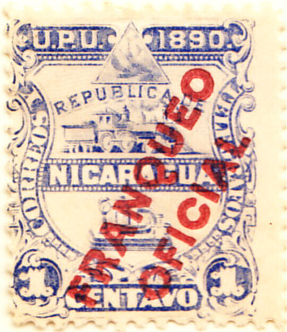 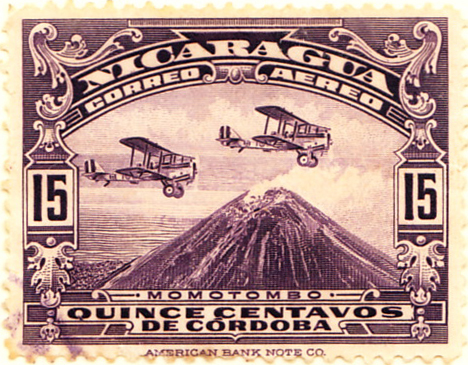 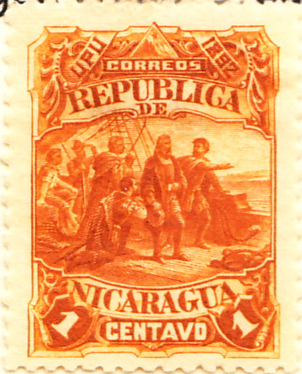 Nicaragua celebrated the centenary of its first issue with a stylish miniature sheet, which includes early postmarks, shown on the reverse of page 1. 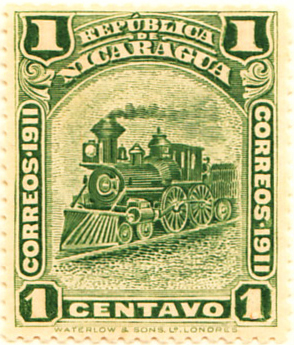 There is only one Nicaraguan province issue, Zelaya in 1904. 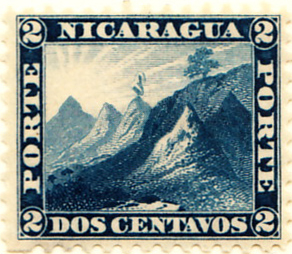 Gibbons differentiates between issues for Bluefields and Cabo districts and general issues. 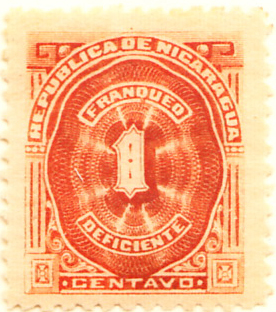 The first of the general issues is shown.